Ardfern Yacht Centre: Christine Wood, making waves in a Topper. 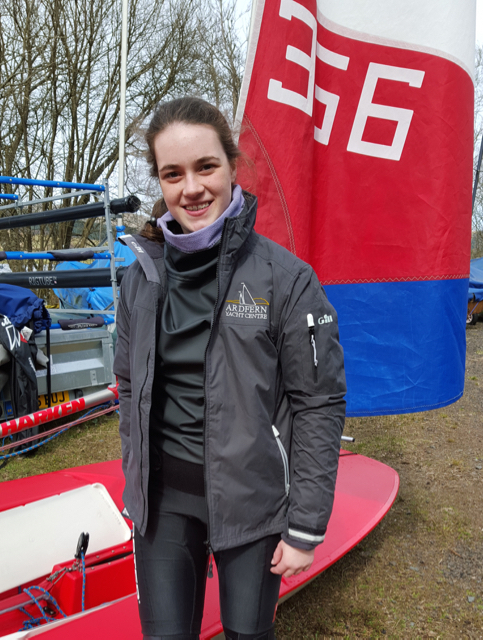 Craignish Boat Club and Clyde Cruising Club Dinghy Section member Christine Wood has been battling her way through the national rankings to make the GBR Topper National Squad and RYA Scottish Academy Sailor of the Year during the 2014 & 2015 seasons. Christine's family have had a long association with Ardfern Yacht Centre and the local area with the family yacht 'Rainbow' a familiar sight on the pontoons and in local waters. 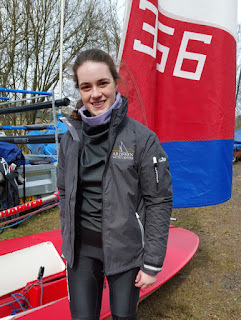 Competing in her final season with the GBR Topper National Squad we are pleased to be giving Christine some support during the 2016 season as she starts to make the transition to the larger, more competitive Laser dinghy class where her battle to climb the rankings starts again. 'The level of commitment required by the young sailors and their families to compete at this level nationally is staggering. Such enthusiasm for the sport has to be encouraged; dinghy sailors today are the next generation of cruising sailors and we have to keep an eye on the future. We are proud to be supporting a young Scottish sailor who shows such commitment and passion' commented Joanna Ashton, Director of Ardfern Yacht Centre. During the 2016 season Christine will be competing in both Topper and Laser events and we wish her the best of luck. To stay up to date with her results at the various events follow her dedicated Facebook Page.